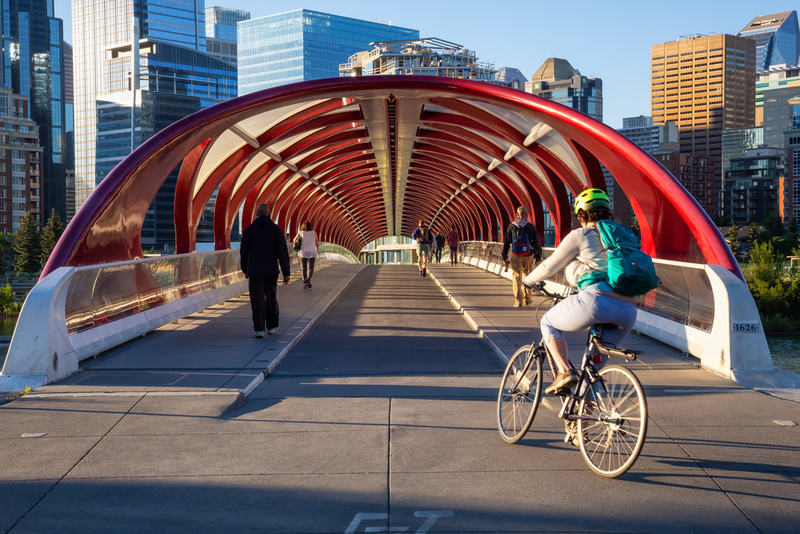 Calgary was recently named the fourth most livable city in the world by The Economist’s 2018 “Global Livability Index” of 140 cities. Alberta’s most populous city was rated higher than all the other major cities in Canada based on five key categories: stability, healthcare, culture and environment, education and infrastructure. In fact, the city has placed Top 5 on the list every year since 2009; this high standard of living has made it an attractive place to buy a home. According to August 2018 statistics from Calgary Economic Development, Calgary seems to be taking a break from its familiar cycle of boom and bust in favour of slow but steady positive growth. Calgary’s economy has improved remarkably since 2015, with further growth projected for the next several years. GDP growth is at a healthy 2.9% for 2018 and forecasted to remain between 2-3% for the next few years. The city’s inflation rate over the past decade is the lowest of all major cities in Canada. Calgary has the highest wages and salaries per employee in the country and more head offices per capita than any other Canadian city, with the second highest concentration of small businesses in any major Canadian city. The region’s economy has diversified significantly in recent years with growth in the financial, professional and technical sectors, as well as health care, manufacturing and retail. The average house price Calgary homebuyers paid in June was $430,000 – down slightly by 1.74% from the same time in 2017. There are two reasons for the slight drop. A steady supply of new homes on the market has kept the cost relatively affordable for the region. The market also saw a mild dip after the federal government’s implementation of the new “stress test” mortgage rates that all Canadian buyers must be able to pass when applying for a mortgage. However, the ratio of new listings to homes sold is becoming more balanced and worries about the new mortgage rules are slowly beginning to ease. This makes it a great time for those who have been considering buying a home to make their move. According to the latest civic census, Calgary’s population has reached 1,267,344. New residents are moving to Calgary from across Alberta and around the world. Net migration continues to be up year-upon-year, even through the economic downturn. Immigration has helped Calgary’s economic recovery by contributing to the city’s high productivity and providing balance to the local housing market. Master planned communities, like Cornerstone, are helping to support this growth through the development of vibrant mixed-use neighbourhoods. Master planning takes into account current and future needs of residents – including things like neighbourhood businesses, schools, parks, recreation centres and transportation infrastructure – in order to ensure greater accessibility to amenities and healthy growth for the community. Experience Calgary’s high livability in the modern urban community of Cornerstone. Choose from a wide range of beautifully designed multi- and single-family homes from Calgary’s top builders. Check out the showhomes! Look for the Cornerstone presentation centre at 110 Cornerstone Circle NE, Calgary. For more information, please contact us or subscribe online for email updates.